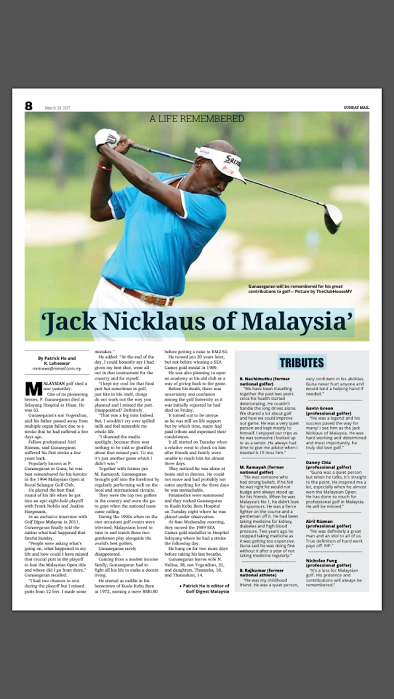 MALAYSIAN golf shed a tear yesterday. One of its pioneering heroes, P. Gunasegaran died at Selayang Hospital at 10am. He was 53. Gunasegaran’s son Yogendran, said his father passed away from multiple organ failure due to a stroke that he had suffered a few days ago. Fellow professional Airil Rizman, said Gunasegaran suffered his first stroke a few years back. 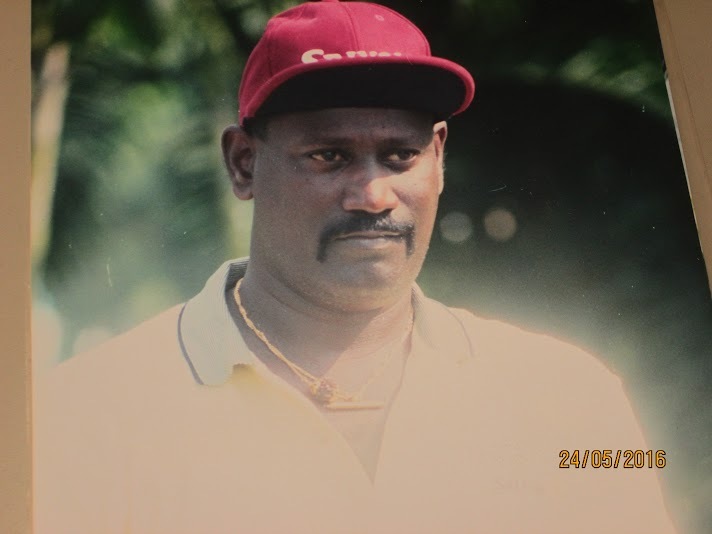 Popularly known as P. Gunasegaran or Guna, he was best remembered for his heroics in the 1994 Malaysian Open at Royal Selangor Golf Club. He played the best final round of his life when he got into an epic eight-hole playoff with Frank Nobilo and Joakim Haegmann. In an exclusive interview with Golf Digest Malaysia in 2011, Gunasegaran finally told the nation what had happened that fateful Sunday. “People were asking what’s going on, what happened to my life and how could I have missed that crucial putt in the playoff to lose the Malaysian Open title and where did I go from there,” Gunasegaran recalled. He added: “At the end of the day, I could honestly say I had given my best shot, went all out in that tournament for the country and for myself. “I kept my cool for that final putt but sometimes in golf, just like in life itself, things do not work out the way you planned and I missed the putt. Disappointed? Definitely. “That was a big miss indeed. But, I wouldn’t cry over spilled milk and feel miserable my whole life. 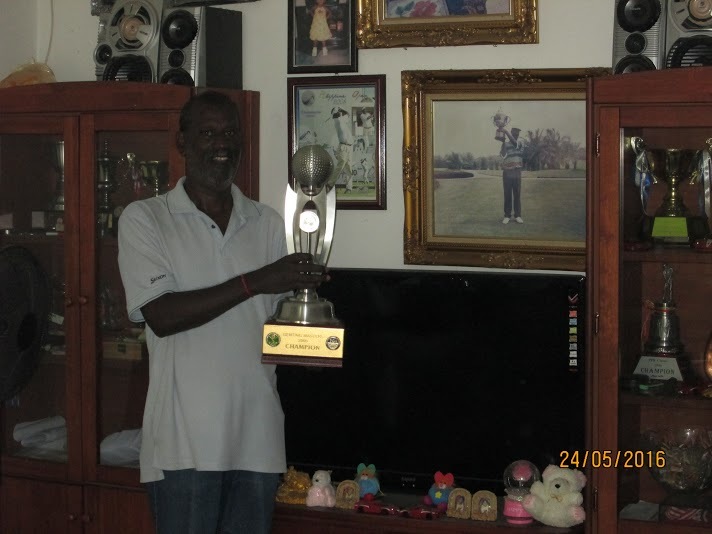 Together with former pro M. Ramayah, Gunasegaran brought golf into the forefront by regularly performing well on the local and international circuits. They were the top two golfers in the country and were the go-to guys when the national team came calling. During the 1990s when on the rare occasions golf events were televised, Malaysians loved to tune in and watch these two gentlemen play alongside the world’s best golfers. Coming from a modest income family, Gunasegaran had to fight all his life to make a decent living. He started as caddie in his hometown of Kuala Kubu Baru in 1972, earning a mere RM0.80 before getting a raise to RM2.50. He turned pro 20 years later, but not before winning a SEA Games gold medal in 1989. He was also planning to open an academy at his old club as a way of giving back to the game. Before his death, there was uncertainty and confusion among the golf fraternity as it was initially reported he had died on Friday. It turned out to be untrue as he was still on life support but by which time, many had paid tribute and expressed their condolences. It all started on Tuesday when a relative went to check on him after friends and family were unable to reach him for almost three days. They noticed he was alone at home and in distress. He could not move and had probably not eaten anything for the three days he was unreachable. Paramedics were summoned and they rushed Gunasegaran to Kuala Kubu Baru Hospital on Tuesday night where he was placed under observation. At 4am Wednesday morning, they moved the 1989 SEA Games gold medallist to Hospital Selayang where he had a stroke the following day. He hung on for two more days before taking his last breathe. Gunasegaran leaves wife N. Nalina, 38, son Yogendran, 21, and daughters, Thanusha, 18, and Thanushini, 14. 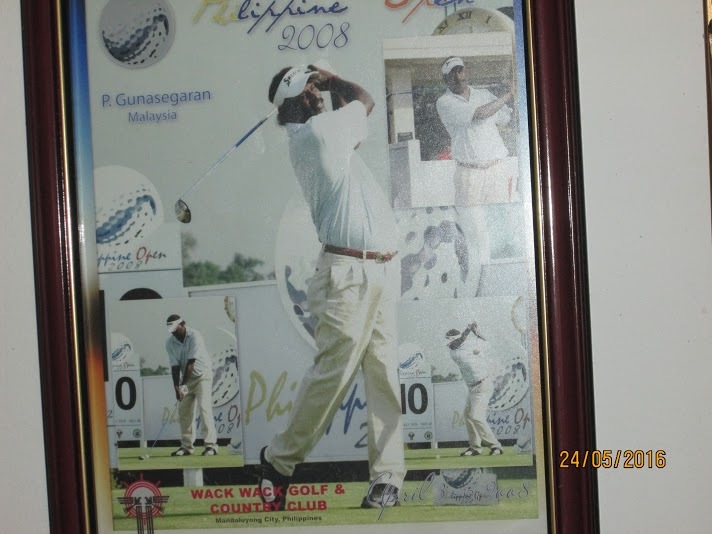 Golfer Periasamy Gunasegaran is still staying relevant in the game thanks to his club – Kuala Kubu Baru Golf and Country Club (KKBGC) – and close friends from this town. Born and bred in this small town, Gunasegaran, who is still best remembered as the closest to being the first Malaysian to win the Malaysian Open in 1994 when he lost in an epic eight-hole play-off to Sweden’s Joakim Haeggmann, is still making a name for himself at the game. At 53, Gunasegeran won the Asian Senior Master 2016 at the Tering Bay Golf and Country Club in Batam in early April to book the only ticket from Asia to compete in the PGA Senior Tour champions event – the Insperity Invitational (May 2-8) - at the Woodlands Country Club in Houston. Playing in a field of 81 golfers which was rated as one the strongest field of the Tour, Gunasegaran had for company the who’s who list of golfers with the likes of 2015 champion Ian Woosnam , seven other past winners of the event—Larry Nelson (2004), Mark McNulty (2005), Jay Haas (2006), John Cook (2009), Brad Faxon (2011), Fred Funk (2012) and Esteban Toledo (2013) and in addition, five World Golf Hall-of-Fame members - Tom Kite, Mark O’Meara, Curtis Strange, Colin Montgomerie and Sandy Lyle. “I was simply amazed at field. It was a lifetime dream come true as the field had a combination of golf’s legends, new PGA tour champions members, Hall of Fame members and the best players in the world age 50 and over,” said Gunasegran who finished 48th. Guansegeran said that he had to thank his club, where he had started off as a caddy in 1972 to have become an amateur golfer, a professional and still playing. “I owe it to my club members who have very supportive in me making golf a career. Without their financial support I will not have achieved all I have till date,” said the resident pro of KKBGC. “Besides my club, another hometown friend, S. Gopi, a successful businessman has been very supportive and if for his substantial contribution I would not have made it to Houston,” said Gunasegaran who had to spend about RM17,000 for the US trip besides another RM5,000 for the qualifier in Batam. “Rajukumar was an excellent golfer too and a single handicapper. But he choose to take up athletics, while I decided it was golf for me,” said Gunasegaran who still plays with Rajkumar at the club course. Gunasegeran who was a member of the Sea Games gold medal winning team at the 1989 Games in Kuala Lumpur and individual silver at the 1991 Manila Sea, turned professional in 1992 winning his first title as a pro at the Singapore PGA the same year. There has been no looking back since then winning numerous titles. KKB has been a haven for top golfers for besides, Gunasegaran, it has had two other professionals – R. Narchimuthu and late A. Dorairaj. Guansegaran is hoping that a fourth golfer from KKBGC will do the small town proud, but said that things have changed from the time they used to play. “We hardly get any local boys playing here. Almost everyone has left for the brighter city lights. Those days, the golf course was our source of extra income as schoolboys. We caddied and earned starting with 80 sen and in the later years, about RM2.50 for a round of 18 holes. But Gunasegeran still remains very relevant at KKBGC as he is looked upon by the members for tips in the game and also to have him play a round of game with them. Gunasegaran said he is just happy with what he is doing and playing in senior tournaments from time to time, while KKBGC will remain his home forever.